The Nexus 9 link is up now. Nexus Player is up too now. The Android L developer preview remained largely static in the time between its launch and Lollipop's official release. That isn't the case with Android M, which Google says will receive monthly over-the-air updates. The first of them is now available for the Nexus 5 and 6. There isn't much new to see in this update. Google announced it last week when it released system images, and you can see the provided list of changes in our coverage at the time. You will also find a few known issues to look out for as well. But this is a developer preview, and you already know not to use this as your daily driver. Here are the links to download the OTA zips if you don't want to wait for the goods to arrive on their own. We'll update with more devices as they become available. If you need a refresher on how to apply them, here are instructions from a previous update. 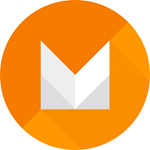 Those of you who rather watch the changes from afar can keep an eye on our Android M feature spotlights.